So after I finished Infinite Jest I sat down and read 3 books over about 3 days. I was just so happy to be able to read other things! (I don't really have a problem reading several things at once, but Infinite Jest just required too much concentration for me to focus on anything else at the same time). This was the second - yes, I'm writing about these books out of order, because I'm a rebel that way! MWAH HA HA HA! 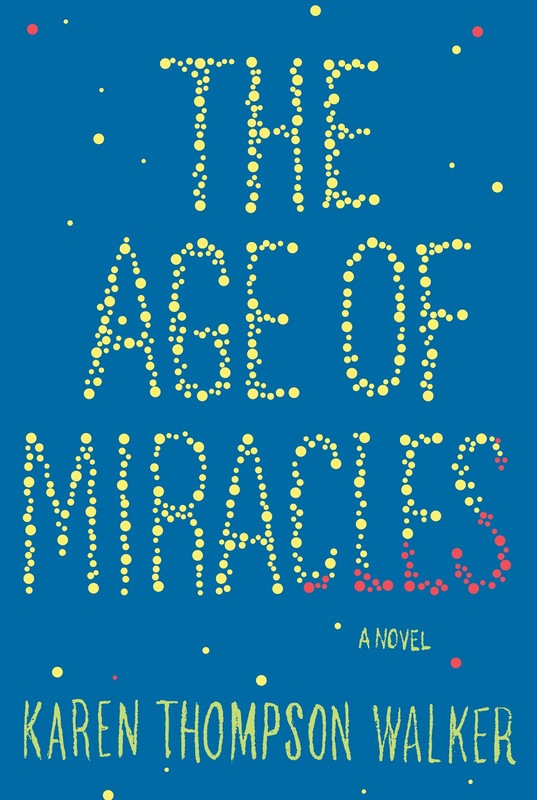 The age of miracles asks what would happen to the world if its rotation started to slow. But, although it covers the wider effects, it mainly focuses on what happens to one teenage girl, Julia, and her family. Now I am all up for some good apocalypse fiction, and I am also completely up for anything that covers domestic woes, so this book felt like it was written for me to some degree. I felt that the way that the whole thing played out was very realistic... you can imagine that if this happened, then that is exactly how a lot of people would react. Yay realism! The way that things changed around the Julia also felt very true to life, especially what happens between her and her best friend, Hanna, who moves away with her family towards the beginning of the book. 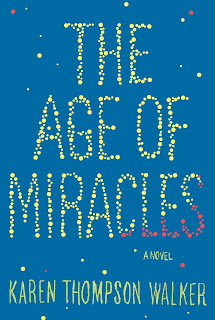 I'm astonished that this is a debut novel, I thought it was really really well done. I also realise that this isn't really classified as YA, but it covers a lot of the same ground and MUCH better than a lot of YA authors seem to manage. I'm sure that if I had read this when I was 15/16 I would have loved it even more. The ending was also satisfying, which was what I needed after Infinite Jest! I'm really looking forward to her next novel! Not necessarily book related things, huzzah!